Think of a property auction and you may think of developers snapping up a bargain on a TV show like Homes Under the Hammer. But savvy sellers are learning that there is much more to selling at auction, and it’s not all cut-price properties. In fact, the smallest flats to large mansions are all selling through the modern method of auction. How long do auctions run for? 1. Auctions can run for 14-28 days, so there is more chance for the future owner to think about the price they want to pay and bid accordingly. In the traditional method of auction, lots sell in an auction room, but with the modern method, everything happens safely and securely online. When will completion happen for an auctioned property? 2. Completion happens within 56 days, which can be a lot faster than selling your home on the open market. If you want to move quickly, an auction could be the perfect method for you. Will I be supported through the auction sale of my property? 3. 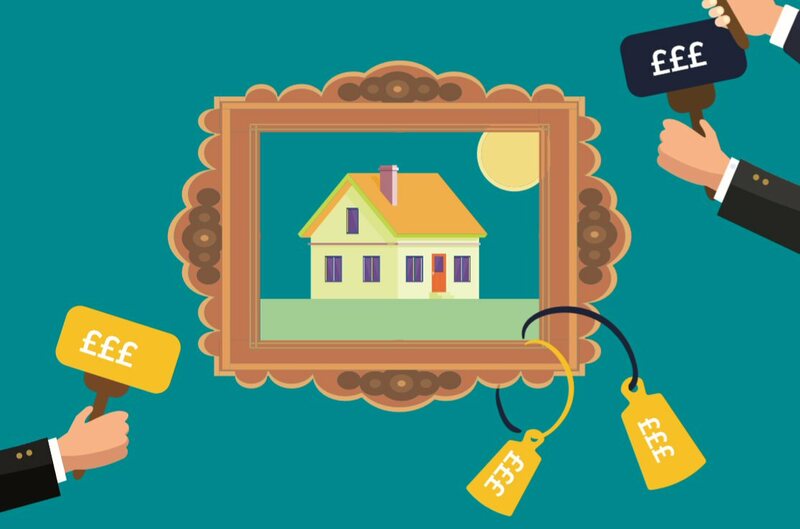 Your local Guild Member can help you sell through the modern method of auction, so you have the safety of knowing that you are dealing with a local property professional, working in partnership with experts IAM Sold. Click here to find your nearest Guild agent. Who can bid for an auctioned property? 4. Both cash buyers and mortgage buyers can bid for your home, vastly widening the number of people who can bid. All the buyer will need up-front is cash for their reservation fee. 5. Fewer sales fall through due to the non-refundable reservation fee. This will lessen the threat of an expensive fall through and means that you can be much more confident in your sale. There is also no chance of re-negotiation or gazumping once contracts are signed. 6. You can save money on estate agent fees. With an auction, the buyer pays the reservation fees. These cover the costs of the auction and leaves the seller without a hefty bill to pay. However, you may still need to pay a small fee to market your home for auction, so be aware of this before you decide on who to sell with. 7. Competitive bidding can drive up the sale price. You can set your own reserve price, which is a great safety net if the interest isn’t there. However, bidders can often drive up the price when there are two or more parties interested in the same property. You could leave with a price higher than you ever expected. To find out more about selling through the modern method of auction, contact your local Guild agent, who can guide you through the auction process, also take a look at our auction services here for more information.